This was the largest of the original 360 systems. The maximum central core storage was 1 Meg and had an access time of .75 micro-seconds. 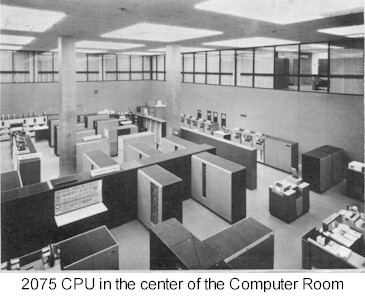 It was an 8 Byte wide machine, but unlike the previous models had NO micro-code control and hence no Read Only Storage. This helped to ensure the faster speed of this machine over the previous models. As with the mod 65, External I/O channels were used for I/O see Standard Interface . Memory size's ranged from 256K through to 1 Meg with an access time of .75 micro sec's. Again external LCS storage was available.